The French Presidential Election has my mind in Paris again. 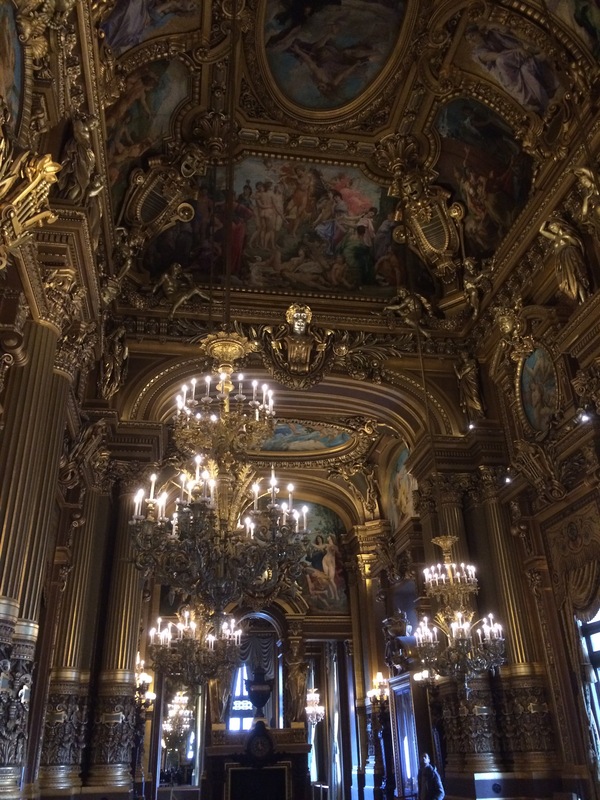 I was reminded by the Captain over at Equinoxio that I never posted photos from the beautiful Palais Garnier (Paris Opera House for those of us non French speakers). 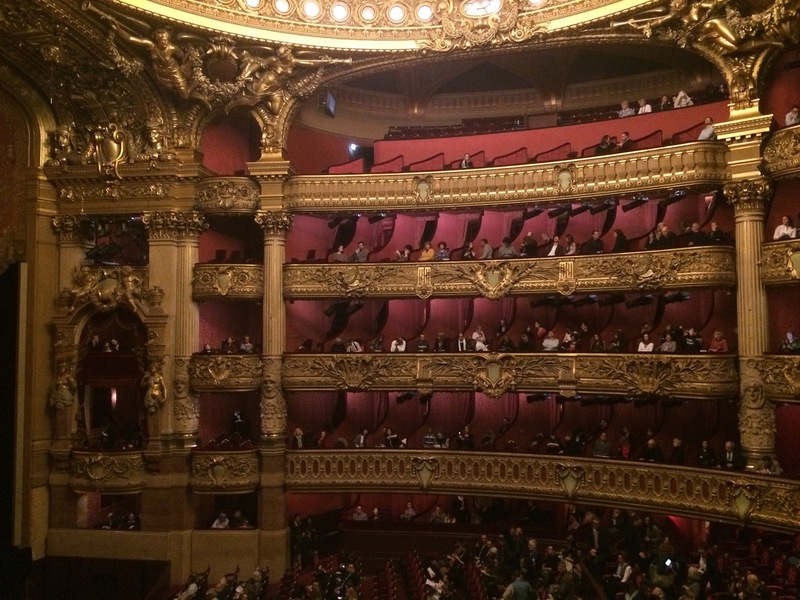 When I was in Paris last year my friend and I took in the ballet at this magnificent baroque opera house. I am afraid the beautiful building outshined the performance hands down. The ballet was probably the most excruciating artistic experience of my life, not because it is a ballet, but because it was a terrible nightmare inducing ballet. But, the price of admission was worth it just to see the gilded architectural pomp and circumstance. On the evening of the ballet we walked up the stairs from the subway to view the sun setting on the beautiful exterior. A street musician was playing a piano like a champ entertaining the crowd. Inside the grand staircase greets visitors who may never see the artistry of the tiled floors only because they cannot lower their chins from all of the looking up. The lighting makes you feel like you are at a candlelight performance or in a Victorian BBC drama. The ceilings are a work of art by themselves. The Grand Foyer looks like it belongs to royalty. Hollywood, why haven’t you filmed a mini series in this room? Spectacular balls, dinner parties, dance parties, this room is mind blowing. The auditorium, while it reminds me of the Muppets, it is a place to see and be seen. The acoustics are superb while the views might be slightly impeded depending on your position in your box. 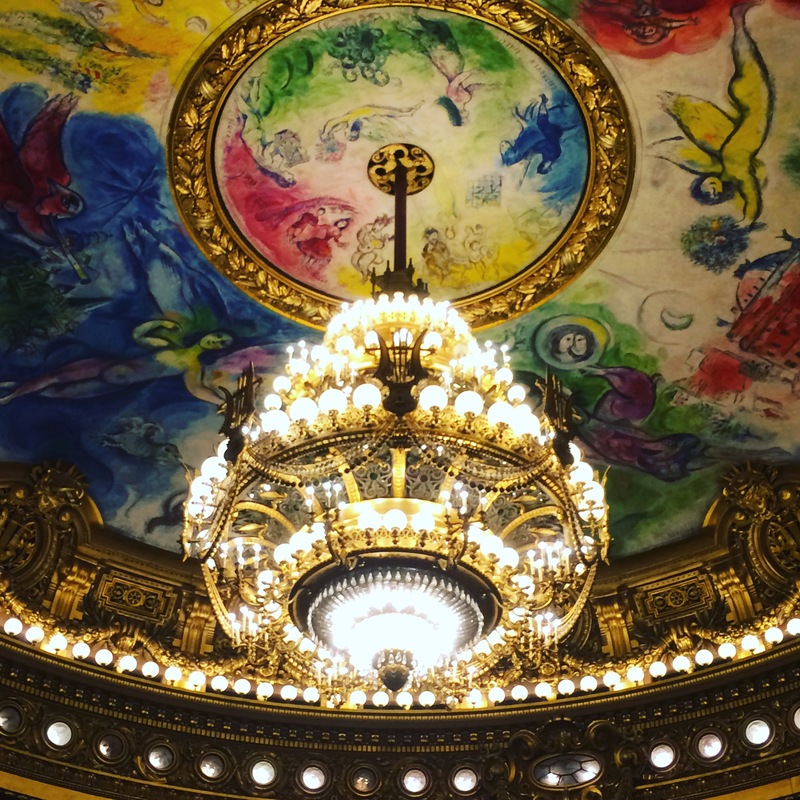 But one thing is for sure, everyone no matter where they are seated, can look up and will have their breath taken away by the chandelier and the Marc Chagall ceiling. In my own humble way I hope France remembers itself and how beautiful and magnificent it is in this important political moment. It must remain a part of the rest of Europe so it can continue sharing pieces of perfection like this architectural masterpiece. *My apologies for the simple photos. They were taken with my iPhone since the place is obviously too fancy for my good bulky cameras and we were too dolled up for the ballet to lug my equipment around. It’s hard to pry the camera out of my hands when I’m traveling! But I hope you will understand. 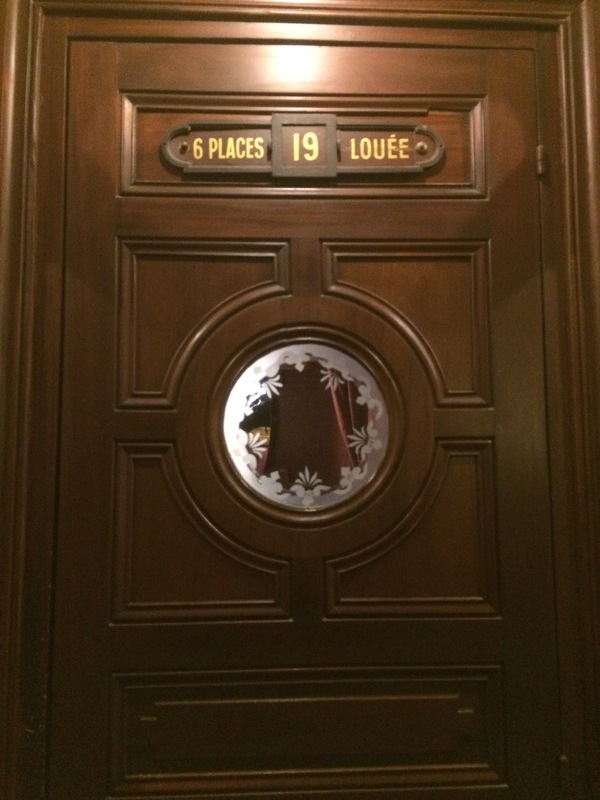 To read more on my French travels click here! To read and view photos of the one and only Giverny click here! Fantastic post, what an incredible place. Love your comments throughout and I agree with you about the Muppets! Ha. Thanks. Maybe that’s where they got the idea from. Lol. So beautiful! I wonder if you can just walk in when there are no performances? 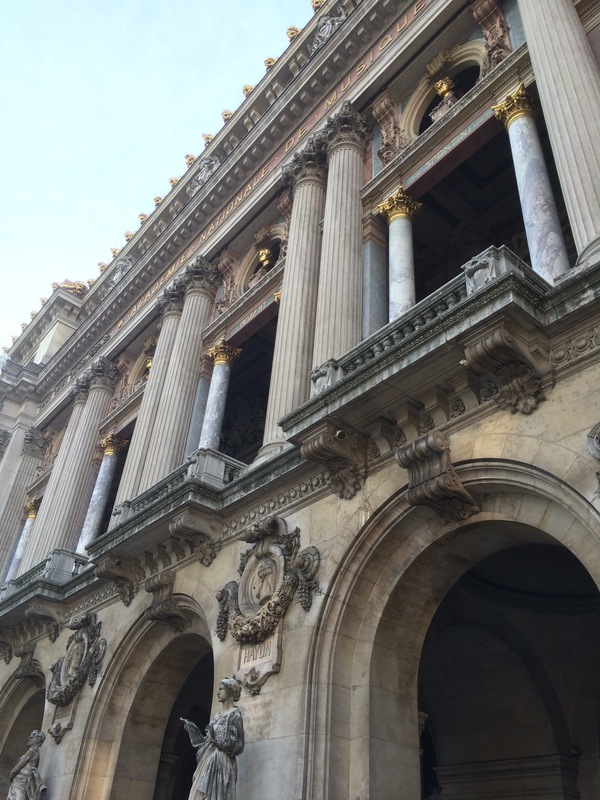 I walked past the opera every day when I lived in Paris, but never went inside. Now I’m wondering why not!? Who knows? It would be nice if they did. Somehow I doubt it. I loved the ceiling too. It’s amazing when art is visible and functional like that. Oh my! I must go, absolutely. The fifth and third from last (photos) are breathtaking. I’m in awe. Thank you. Thank you so much. It was a wonderful experience. 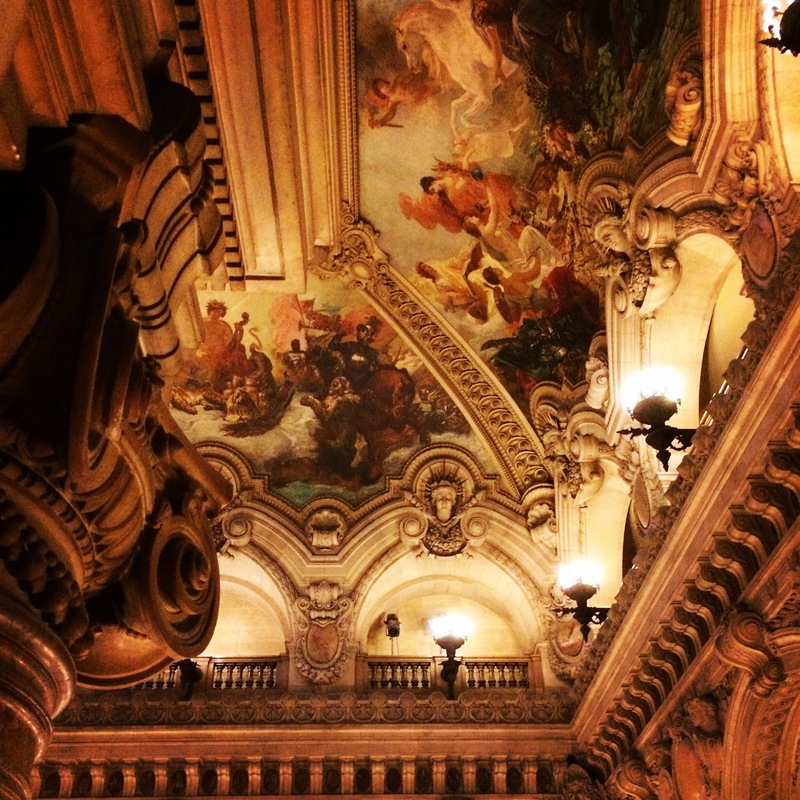 I’ve heard about Palais Garnier’s beautiful architecture, and I’ve seen a few photos of its interior. But oh my! These images really show this magnificent building’s grandeur, inside and outside. Funny that last night I dreamed of being in some kind of auditorium, checking the acoustics or something. Then first thing in the morning I read this post! As for the presidential election, I do hope that unity will prevail over divisive rhetoric. A French friend said a while ago that both candidates are far from ideal to be the president of the country. But sometimes in life we have to choose not the best of the best, but rather something that will bring less harm. Very good point. It will be interesting to see what happens. Thanks for the comment. It’s good to hear from you. I really must remember to schedule sthg at the Opera. I will check. Thank you again for sharing. The interior is quite impressive! Quite lavish! 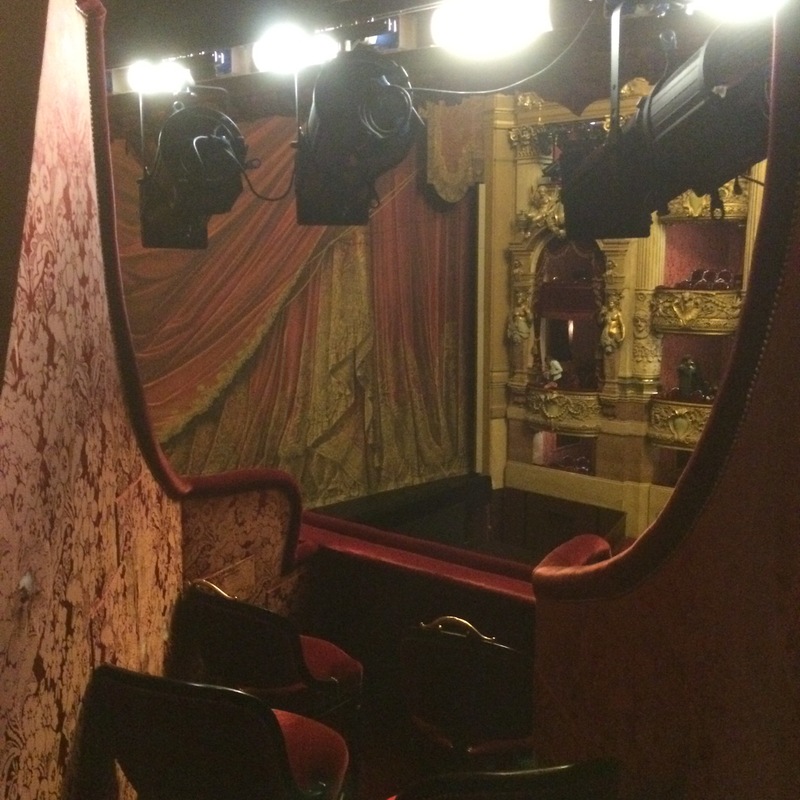 I have never been inside the Paris Opera House. It looks spectacular! You would love photographing it! Looks like an amazing piece of architecture, your iPhone photos are quite wonderful. They really have decent point and shoot capabilities. It’s so fun to have a phone with decent photo capabilities. Otherwise I never would have been able to capture it and so many other things. It isn’t always practical to carry around my professional equipment. Thanks for the comment. Happy Monday! 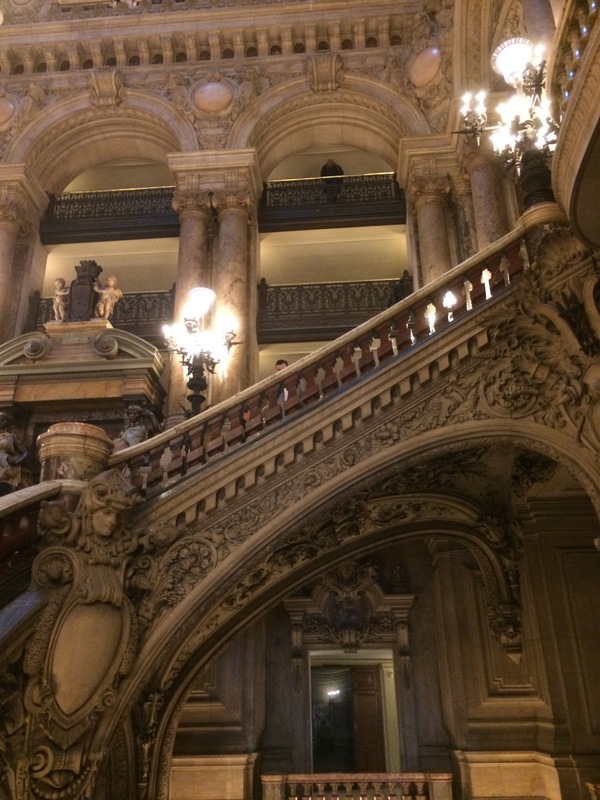 Pingback: #Paris #Opera House Grandeur — Bulldog Travels #travel #world @thewritealice @nytimes @latimes – thewritealice MLS – Let Us Write You The World In Our Eyes. The place is amazing. Every detail. Oh my goodness, I bet it was.